A federal judge says evidence collected inside a Las Vegas hotel room by government agents pretending to be cable repairmen should be excluded from the case against an alleged gambling kingpin because it was unlawfully obtained. 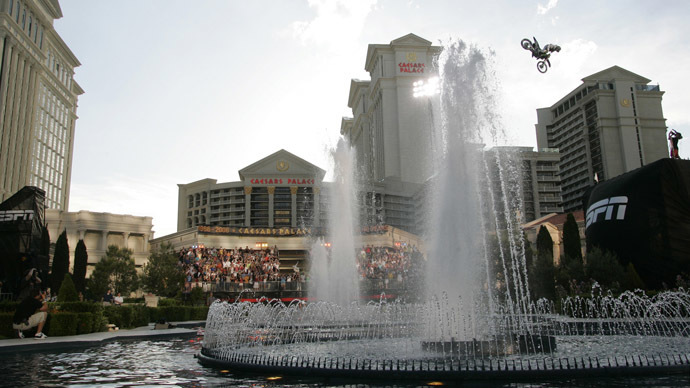 United States prosecutors say Malaysian gambler Paul Phua and his son operated an illegal betting operation during the 2014 World Cup from within a room at the Las Vegas, Nevada Ceasars Palace. The government could now face an uphill battle in its prosecution, however, after US Magistrate Judge Peggy Leen took issue with how investigators built their case against the Phuas. A request from the defense to suppress evidence should be granted, Leen wrote last week in a ruling dated January 30, because the government operated a “ruse” in order to obtain evidence in July 2014. The evidence was collected by agents with the Federal Bureau of Investigation after FBI officials saw to it that internet access to the hotel room was suspended, then posed as repairmen to enter and gather evidence later used to support the search warrant. “The investigators’ suspicions that Phua was engaged in illegal sports betting at Caesars Palace may be borne out by the evidence recovered in the execution of the warrant. However, a search warrant is never validated by what its execution recovers,” Leen wrote. “They misrepresented their identities, and they misrepresented the purpose for which they were there,” the magistrate said of the agents who had entered the hotel room. “This case raises the difficult question of how far law enforcement ... may go in engaging in deceptive conduct to gather evidence of criminal activity in places where citizens have a reasonable expectation of privacy,” she said. Even with her objections being heard loud in clear over the course of two rulings filed recently in the case, Phua and son aren't fully in the clear yet. The Wall Street Journal reported that the parties have until February 16 to file objections, after which time a US District Court judge will weigh whether or not to accept Leen's recommendation.